The Executive Council, or board of directors, is a group of alumnus members elected by the Convention to lead the Association, under the provisions of the Constitution and Bylaws and the Acts of the Convention. 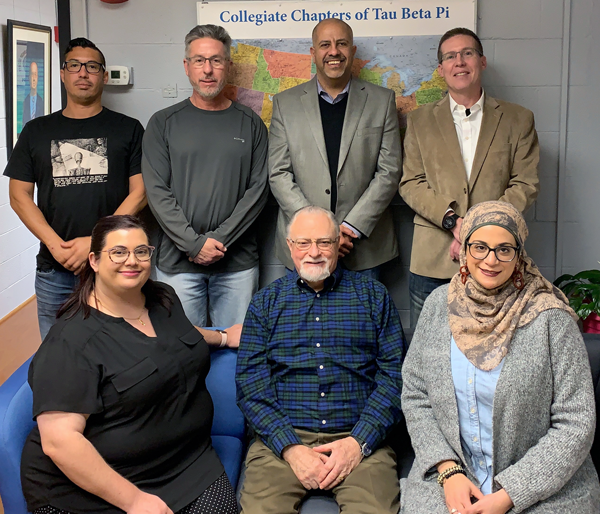 It guides the programs of Tau Beta Pi through a full-time Executive Director, whose offices at the University of Tennessee are the Headquarters of the Association, and other Association Officials whom it appoints. All actions taken by the Council or officials are reported back to the Convention. Click here for summaries of the Executive Council minutes. Members of the current Executive Council: President Wayne B. Paugh, Esq., special assistant U.S. attorney in the major crimes division; Vice President C. Craig Smith, P.E., central cooling systems team leader at UT-Battelle; Secretary Scott E. Fable, supervisor at Pacific Gas & Electric Company; Treasurer Stephan L. King-Monroe, senior member of technical staff for Sandia National Laboratories; and Councillors Rachel K. Alexander, civil engineer, Sacramento County Department of Airports; George J. Morales, Ph.D., test research and development engineer, Intel Corporation; Russ W. Pierce, retired manager and EF Facilitator; Mennatoallah M. Youssef, Ph.D., patent examiner for the U.S. Patent & Trademark Office; and George Youssef, service director for boiler services at General Electric. Executive Director Curtis D. Gomulinski serves as a non-voting member of the Executive Council.